Full integration of coffee business, from coffee producing to coffee roasteries, machineries, and distributors. Various brands are offering hot promotions exclusively for this festival. For those who dream of owning coffee business, prepare yourselves to meet the preview of coffee franchising's new look. Moreover, there are plentiful activities just exactly right for all COFFEE LOVERS !! Meet the pop-up stores from manufacturers and distributors of coffee machine and equipments. Also high quality coffee beans from more than 100 popular stores. 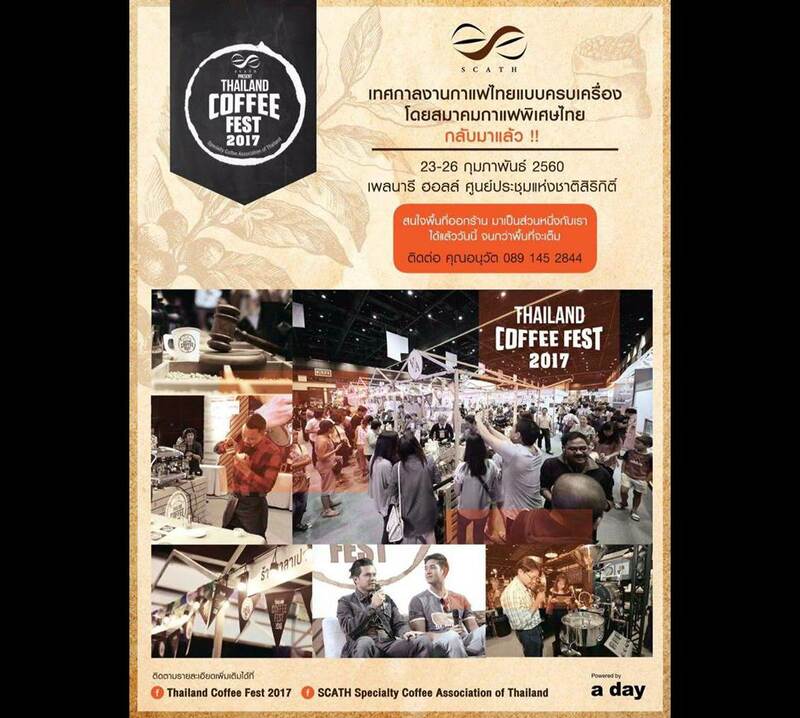 The contest of top 10 Thai coffees with an auction of Thailand's best green beans. Numerous coffee workshops and seminars conducted by famous coffee masters. Unlimited coffee knowledge and experience sharing. Experience the contest which integrate science and art of coffee brewing. Let yourself see, taste and cheer in front of the stage. The coffee lovers would love this zone, we will let you smell and taste the various coffees from cool cafes.